Tucked into a small East Hollywood strip mall, the entrance to India's Restaurant is framed by a string of lights that beckon diners into a red and gold banquet hall. 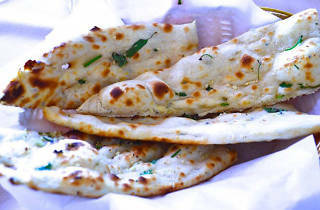 Known best for their incredibly creamy, vibrant red chicken tikka masala, the restaurant serves a bevy of solid standards—lamb samosas, a sweet vegetable curry, plenty of tandoori options—along with balti specialties that feature chicken, shrimp, fish and other protein options in a hearty stew. 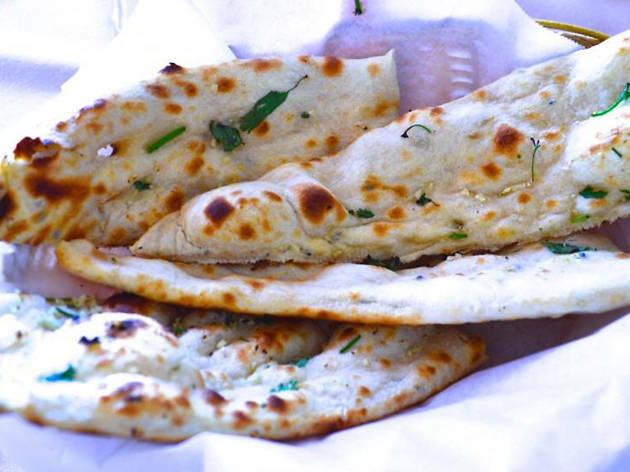 Oh, and their garlic naan is perfect for some serious scooping action.